The Flyer 8 SUNdeck exceeds regular day boat standards by combining comfort, generous space and sensations. Its highly optimized design makes it the ideal boat for a weekend getaway. A decent-sized cabin lies beneath a large sunbathing area for lazing in the sun. 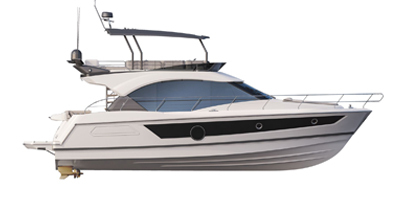 The Flyer 8 SUNdeck has the aesthetics of a modern classic, with taut yet attractive lines, complete with black pulpits. Developed on the latest generation of outboard hulls equipped with Air Step 2, the boat lifts off quickly and offers outstanding cruising comfort. The aft bench seat is easy to fold back, providing optimum cockpit space. There are also lots of ergonomic storage spaces spread throughout the boat. 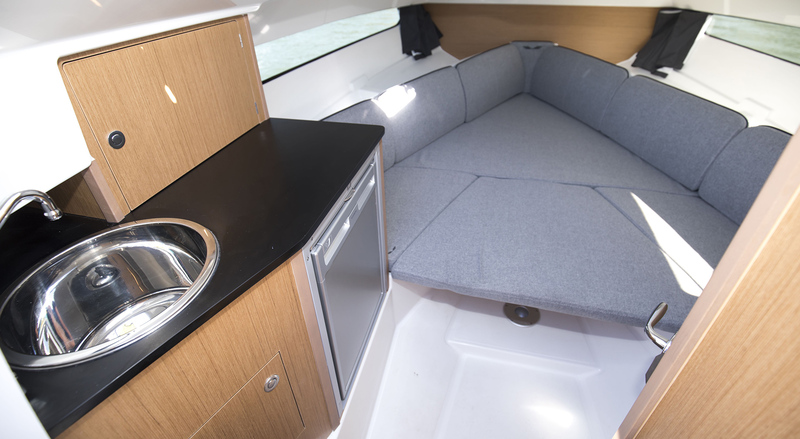 The Flyer 8 SUNdeck is astonishingly comfortable inside. The double-berth cabin has incredible headroom for a boat this size. The boat also has a separate head and a small galley. Certified to carry 10 people, the quality of the Flyer 8 SUNdeck’s fittings and its finishes make a big impact. Open to a wide variety of programmes, it would be hard not to spend a few more days enjoying the pleasures of the sea. The Flyer 8 SUNdeck is small enough and easy to transport by road. The two port and starboard walkways make movement around the sunbathing area easy. Walking from one side of the driving station to the other is fluid and safe. 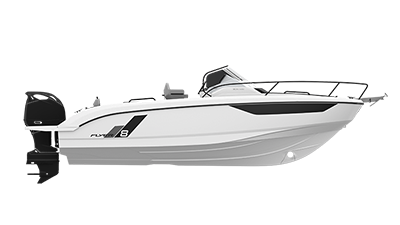 The Flyer 8 SUNdeck’s single engine is ergonomic, saves money and offers good performance. Circulation to the stern is made easier and the swim platform is much bigger. With a 350 hp Suzuki engine, she can reach peak speeds of 43 knots. Separate shower room with wash basin, water supply through shower hose and marine toilet. When you choose BENETEAU, you choose a team of professionals, committed to responding as quickly as possible to your needs. Whether you are in touch with a touring technician or our spare parts service, we are always ready to listen.